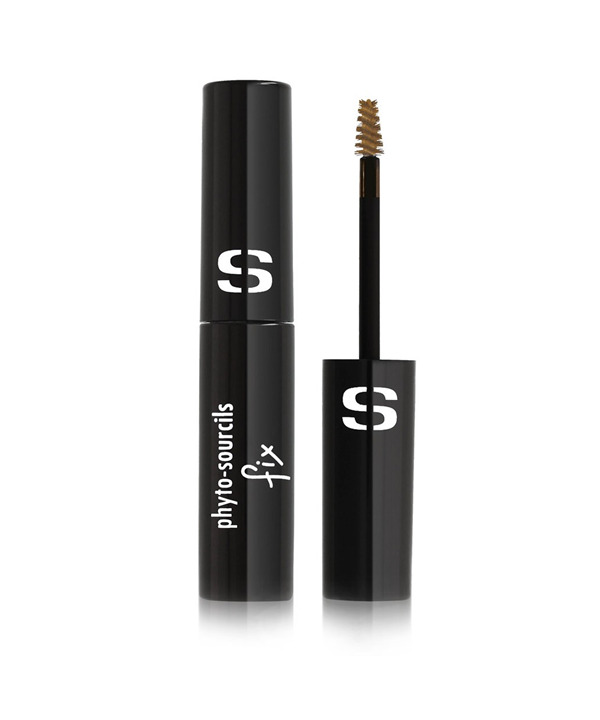 Phyto-Sourcils Fix is a thickening and setting gel for eyebrows. This formula enriched with nylon fibers adds body to eyebrows, for an instant look of fullness. The perfect synergy of tamed, fullness, the eyebrows stay in place all day without stiffness. Shade 0 is completely invisible to tame eyebrows discreetly. Shades 1 and 2 subtly color eyebrows for an intensified look. The micro-sculpting brush enables precise application for a precise shape with a very natural result. One single stroke for slightly highlighted eyebrows, or several for a more intense, yet still natural shape and effect. Phyto-Sourcils Fix is long-lasting and rub-proof and enriched with key skin care ingredients (Pro-vitamin B5 and Passionflower extract). Ophthalmologically tested. Brush the eyebrows upwards to redefine the shape. Then brush in the direction of hair growth concentrating on certain areas, if necessary, to set and thicken. Apply on its own or over an eyebrow pencil. 1- Highlight the brows: Apply Phyto-Sourcils Fix on its own for a very natural result. Brows are tamed and thickened. The shape is more precise. 2- Perfect the brows: Fill in the eyebrows hair by hair, using Phyto-Sourcils Perfect. Complete the look with a few strokes of Phyto-Sourcils Fix for a perfect shape. 3- Redefine the brows: Redefine the shape of the eyebrows with Phyto-Sourcils Design. Follow with a few strokes of Phyto-Sourcils Fix for an even more defined & intensified look and long-lasting hold.